It must be obvious to anyone seriously studying Occult Science that it is important to be physically fit and well, if we are to put our best into our studies and derive the most practical benefit from them. Before we develop our theme, we wish to make it quite clear that we are not doctors and have no connection with the medical profession. If you are ill, you should seek qualified medical advice. Please do not write to us about your personal health issues either, for we shall not answer you. But we do aim to present you with certain facts about modern medicine: facts that you can verify for and by yourself. In addition, we shall introduce you to the occult laws and principles that govern health and disease, so that you may apply them if you wish to help your body to heal itself and stay well. Now, you may say this is all very obvious, and you knew all about it already. We daresay you did, but have you ever consciously tried to apply this knowledge with consistency and regularity in your own life? The chances are you have not, or you would not be reading this article, hoping perhaps to discover some new 'miracle' health cure. The greatest miracle of all is your own body, as you can read in our occult studies course article on evolution, and in our article about the mysteries of the human body, as well as in many other articles we have published. But how many of us give it a second thought? Is it not true that we generally ignore it, abuse it and misuse it in the expectation that it will look after itself without any conscious intervention on our part? And when it does complain or break down, we call the doctor or take a pill, much as we would take our car to the garage when it develops a fault. Is it any wonder so many are never truly well, or know how to be well and stay that way? Modern medicine has given us many pills and potions that have contributed to our longevity and wellbeing. But while it has delivered many health benefits these have come at the price of unnecessary suffering, an increase in chronic diseases such as arthritis, diabetes and cancer, not to mention such dreadful medical blunders as the thalidomide disaster, which resulted in the births of tens of thousands of children without arms or legs during the 1950's and 60's. As we write this article in January 2015, we learn to our dismay that this truly poisonous drug is once more being used by doctors, this time to treat various cancers. The stupidity, arrogance and blindness of the medical profession in its obsessive search for, and reliance on, a 'pill for every ill' simply beggars belief. It has been estimated that there are over 750,000 deaths a year in the United States alone because of prescription drug use and other medical related items. In 1995, the Journal of the American Medical Association (JAMA) reported that "over a million patients are injured in US hospitals each year, and approximately 280,000 die annually as a result of these injuries." If these injuries and deaths were the result of a disease epidemic there would be a public outcry and promises from governments to launch a 'war' against it. As it is, these horrific statistics are met with a wall of silence and universal complacency. Today in the United States, every man, woman and child is prescribed more than ten prescription drugs per year. According to a 2008 nationwide survey, 29 percent of Americans used at least five prescription medications concurrently. A 2007 study of over 350,000 American children found that nearly 80 percent of them had been prescribed drugs that were not approved for their use. In 2013, the UK Medicines and Healthcare Products Regulatory Agency (MHRA) reported that prescription drugs were linked to over 200,000 adverse reactions reported to them from 2000 to 2011, and that 12,000 deaths were linked to these adverse reactions during the same period. A recent article in the British Medical Journal (BMJ) cited a Danish study that showed psychiatric drugs kill an estimated 500,000 people throughout the world every year. A Sunday Times investigation in 2013, found that more people are now dying from overdoses of painkillers and tranquillisers than from recreational misuse of heroin and cocaine. It is noteworthy that whilst we are constantly bombarded by the media with stories of the never-ending 'war on drugs', which had swallowed no less than 15 billion dollars of US taxpayers' money by 2010, the same media is ominously silent about the terrible suffering and loss of life caused by prescription drugs and medical treatments. The fact of the matter is that humanity is now sicker than it ever has been in human history and medical science does not know what to do about it. What is worse, it actively lies to the public at every opportunity and stifles any attempt to challenge the dangerous practises that are speedily leading mankind into a chilling future when chronic disease and debility will be the 'normal' state of health for us all. Ironically, it is this very state of affairs which may bring about a much-needed revolution in medical thinking and medical science. The over-prescription of drugs and their widespread misuse is increasingly focusing attention on the so-called 'placebo effect', both among health professionals, scientists and the public alike. In 1996, a small group of American university students were told they were taking part in a study of a new painkiller, which was to be painted on the skin. What the students were not told was that the drug contained only water, iodine and thyme oil—none of which possess any analgesic properties. In short, they were given a fake, or placebo, painkiller. The drug was painted on one finger and the other left untreated. Each treated finger was then squeezed in a vice. The students reported significantly less pain in the treated finger than the untreated one. Similar studies from around the world have shown conclusively that 'placebo' medicines can cause stomach ulcers to heal faster, shrink tumours and relieve inflammation, pain and depression. Despite these incontrovertible results, doctors continue to maintain that there is no compelling evidence that the mind can heal the body, though they do admit that 'mood' and 'belief' can have a significant effect on the subjective perception of pain. Of all the intellectual gymnastics medical practitioners love to indulge in, this piece of scientific sophistry takes the biscuit. In the name of not-so-common sense we ask how there can be any 'mood' or 'belief' without a mind to cognise them?! If there is no 'perception' of pain, whether 'subjective', 'objective' or even figurative, it simply does not exist. Unless, of course, those clever people in white coats—the medical scientists—have invented some new gadget we are unaware of that measures pain 'scientifically' regardless of whether or not the poor guinea-pig undergoing their kind investigations feels it or not. The overuse and misuse of antibiotics developed during the past 70 years has led to the rise of many drug-resistant strains of bacteria, such as MRSA. With each passing year, the superbugs get stronger. No new classes of antibiotics have been developed since 1987 and none are currently under development for the reason, as the pharmaceutical companies tell us, "that there is little money in expensively developing new compounds which will only be taken in short courses." Even if it were profitable to develop new antibiotics, it would make little impact on the continuing problem of antibiotic resistance because it takes on average ten years to develop new drugs, by which time the bacteria once again have the upper hand. Why is this? Science does not know, but occult science does. Science has discovered several biological and environmental factors which are thought to be responsible for antimicrobial resistance as it is termed, such as microbial mutation, gene transfer and overuse and misuse of antibiotics, but none of these are causes, simply effects arising from microorganisms' innate ability to adapt themselves to changing conditions. It will be obvious to all occult students that the ability to adapt to changing conditions is the result of intelligence, though this simple truth is a step too far for most scientists, who persist in regarding matter as inert and lifeless, as we discuss elsewhere on this website in our article on why matter matters. Bacteria and viruses, in common with all life-forms, possess intelligence, however rudimentary it may be compared to ours. The primary function of that intelligence, whether in a virus or man, is the preservation of its existence. It is this innate instinct that allows microorganisms to continually adapt to changing conditions and counter threats to their well-being. As long as scientists remain blind to this obvious fact the bugs will continue to win, despite the best (or worst) efforts of medical science to outwit them. It is generally believed that antibiotics and vaccination have saved mankind from the scourge of many deadly diseases which once menaced our great-grandparents, such as smallpox, typhus, malaria, diphtheria and tuberculosis. Actually, some of these diseases are still very much with us, and even increasing in third-world countries, but that is by the way; we have no wish to rob the scientists of their medical 'triumphs'. Whilst we do not dispute that antibiotics and vaccines have played a part in the eradication of many epidemic diseases, improvements in personal hygiene and public sanitation during the last century have played a very much greater one. It is these, together with better nutrition, clean drinking water, less overcrowding and better living conditions that we have to thank for our better health and freedom from epidemic diseases, not antibiotics or vaccines. As long ago as 1881, a speaker at a medical conference on smallpox stated that: "no epidemic can resist thorough cleanliness." No thinking physician would disagree with this, though few would extend the principle to mental cleanliness too. An unclean mind can and does infect others, leading to moral epidemics which are just as harmful to mankind. We hope we will thoroughly shock you when we say that modern medicine is not—nor ever has been—a science. If it were, it would encompass the whole nature of man as a spiritual being incarnated in a material body. It does not. It regards the human body as a machine which obeys so-called fixed laws formulated by science (which only remain 'fixed' until science changes its mind! ), and considers life to be the product of a complex series of chemical and physical reactions. Given this bleak outlook it is not surprising that medical science limits its activities to the physical and biological processes it observes in the human body and environment. The same mechanistic approach supports the idea that you can simply remove 'faulty' parts or repair 'malfunctioning' organs without it affecting any other aspects or functioning of the human body. Because disease and its accompanying signs and symptoms are regarded simply as the result of a disruption in chemical or physical functions, there is little focus on the causes of disease such as we touched on at the beginning of our article, such as worry, anxiety, stress, fear, depression, etc., and even less on environmental factors such as pollution and radiation. The sole goal of treatment, from a mechanistic perspective, is simply the removal of the visible signs and symptoms of disease and the destruction of any pathogenic agent thought to be responsible for them. Among the subjects taught to medical students in our universities are anatomy, genetics, pharmacology, biochemistry, pathology, epidemiology, sociology, biomedical science, data analysis and interpretation. Nowhere in this list is there any mention of the mind, never mind spirit. Doctors are simply not taught to consider the part the mind plays in health and disease. The idea that the patient even has a 'spirit' or 'soul' is so alien to modern medicine that with rare exceptions, the medical profession utterly rejects any meaningful mind-body interaction, despite the proven fact that the mind does have the power to influence the body. But this influence is largely disregarded in most orthodox medical treatments and marginalised under such terms as the 'placebo effect.' This is not surprising when we consider that, according to the National Health Service (NHS) own website, the placebo effect "is a phenomenon that we don't completely understand." We should say it is not understood at all. It is interesting to note that while doctors are all too ready to discount the placebo effect when it seems to improve their patient's health, they have no hesitation in invoking it when patients get worse, by telling them their distressing symptoms are 'all in the mind'. Either the mind does affect the body or it does not; one cannot have it both ways, though it seems that some doctors think otherwise. We shall come back to all this at the end of this article when we discuss the so-called placebo effect in more depth and show how the mind can consciously help the body back to health and stay well. We have now seen that modern medicine is a 'pseudoscience' of vast proportions. Doctors now rely on an ever-increasing array of instruments and tests with which to explain and justify their practices. But scientific instruments do not a doctor make, any more than the possession of a Bible makes a priest. Sadly, most doctors are completely unaware that modern medicine is not a science. The result of this ignorance and the delusion that underlies it, has been catastrophic for mankind. In order to protect themselves from the anxieties which would otherwise accompany their ignorance, many doctors seek assurance and comfort by immersing themselves in technology. They are taught that investigation is an end in itself rather than a stepping-stone towards cure. Too many doctors obtain satisfaction not by making patients better or relieving their discomfort but by playing a series of intellectual games in which the collection and analysis of test results take precedence over the support and comfort of their patients. Such patients are often over-investigated, over-diagnosed and over-treated but rarely cured, if by cure we mean the complete and permanent removal of all pain and distress. Most people have been taught (though perhaps 'brainwashed' would be a better word), that modern medicine is far more effective than anything which came before it, and certainly more effective than any so-called 'alternative' therapies. Nothing could be further from the truth. As long ago as 1978, a report produced for the U.S. Senate to evaluate standard medical procedures revealed the alarming statistic that "only 10 to 20 percent of all procedures currently used in medical practice have been shown to be efficacious by controlled trial." The report concluded that it was unknown whether the remaining 46 percent of treatments were efficacious or harmful. If we exclude this percentage and all the other percentages that may or may not be harmful or helpful, we are left with just 13 percent of treatments that were proven to do any good! This is only slightly better than the result obtained in the American study conducted nearly 30 years earlier. Whilst we would not deny that treatments such as chemotherapy and radiation have been shown to remove tumours and in many cases save the lives of patients who might otherwise have died of the distressing disease of cancer, this does not detract from the fact that such treatments also do great harm. Any treatment that kills as many people as it saves cannot be regarded as safe or effective. Blood-letting undoubtedly saved lives during the centuries when it was one of the primary medical treatments, but physicians no longer use it, just as they no longer give their patients massive doses of mercury. From antibiotic misuse, through unhelpful and invasive diagnostic tests, to unnecessary surgery, the entire modern medical industry is riddled with misinformation which bolsters the myth that it is scientific and efficacious. This despite the fact that, to take just one example, the overall survival rate for lung cancer has remained unchanged during the past 50 years. Recent reviews of research papers published in leading medical journals found nearly 75 percent of the publications analysed to have invalid or unsupportable conclusions as a result of statistical problems alone. This does not include those studies which included false data in order to receive funding from pharmaceutical companies, which are now sadly all too common in all the material sciences. We have now seen that far from being a science, modern medicine consists largely of misconceptions, false assumptions and questionable studies based entirely on the erroneous concept of the human being as a mere machine that has to be 'fixed' when it goes wrong. We have also seen that the methodologies and treatments in general use have a proven success rate of less than 15 percent. Is there a better way? Yes, there is, and in the next section, as well as in our afterword to this article in the sidebar at right, we will consider some of the alternatives to the modern mechanistic approach to health. The placebo effect, as we mentioned earlier, is not understood by either doctors or scientists, though they admit that it works...somehow...in some way. So what is it? Simply the ability of the MIND to influence the body. We have shown that the mind can affect the body's health, both positively and negatively. However, this is generally thought to be an unconscious process that we have no control over. This is a fallacy. The mind can, with guidance, consciously and purposefully help the body to heal itself. It doesn't require extraordinary will or the submission to someone else's will, as in hypnosis. It is a natural faculty we all have, and it is powerfully effective. If you wish to verify or study the research work on the placebo effect there is a wealth of literature on the mind's ability to heal the body. But this is quite unnecessary. The occult student does not need scientific proof, facts or figures. We merely have to remind ourselves of certain fundamental truths. The first and most important of these is the Hermetic Law of Mentalism which states that All is derived from MIND and that everything in the universe is the result of the operation of mental forces. The second is the power of the human WILL. Now what is will? All science can tell us is that it is 'volition', which it describes as "the cognitive process by which an individual decides on and commits to a particular course of action." Mere verbiage, dear reader, as bereft of meaning as it is of sense. Let us see if occult science can do better. Will is not spirit. It is not substance. It is the eternal and everlasting principle of IDEATION. Will is the force of spirit in action, the first of all powers, as we may read in the Bible: "And the Spirit of God moved upon the face of the waters, and God said, Let there be light: and there was light" (Genesis 1:2-3). So we may say that Will is Spirit in action, or motion. How much more satisfying this definition is to the thinking mind than the scientific verbiage we quoted earlier. Moreover, it is the only true and correct definition of that intangible and powerful 'something' which reigns supreme over all inert matter. It is the denial of the boundless and endless Entity, the possessor of that invisible Will, which for lack of a better term we call God, that is the root cause of the inability of medical science to explain the placebo effect. As we have seen, it is through the manifestation of that Will—termed by Plato the Divine Idea—that everything visible and invisible sprang into existence. As God creates, so man can create. Given a certain intensity of will, the shapes created by the mind become subjective. Science would call these mental images hallucinations, although to their creator they are as real as any visible object is to any one else. Given a more intense and intelligent concentration of this will, and the forms become concrete, visible and objective to all. The man or woman who can do this has learned the secret of secrets; he or she is a Magician. Those of us who are not magicians may still employ the same mental law, and through the exercise of our will, produce changes in our mind and body. It follows from this that negative thinking will bring about negative conditions of depression and ill health, just as positive thoughts bring about happiness and health. This is not an optimistic theory of ours, but a well-established occult LAW which healthy men and women have applied throughout history, in most cases unconsciously. But it can and should be applied CONSCIOUSLY. If you have never thought about these things before, you may be surprised how quickly you can improve YOUR health and wellbeing by training yourself into the persistent and unceasing habit of thinking good and health-promoting thoughts. The third truth we wish to remind you of is that there is one thing and one thing only that is shared by every living being on earth, and that is LIFE itself. Now whatever else you may believe life is, consider it NOW as nothing less than a health- and strength-giving essence. The universally shared life energy; for that is precisely what it is. If for any reason, you find it difficult to understand or accept this truth immediately; here is further evidence of its existence. The air we breathe, the sunlight we absorb, the water that comprises approximately 50 percent of our body weight, are all universally shared substances that sustain all life. Without them there would be no life on earth as we know it. If we add to these substances, the various atmospheric and terrestrial, magnetic and electric energies, and the many solar and cosmic radiations, which are equally vital to life, then we cannot reject the idea of a universal composite essence. So, let us repeat. Life is universal and flows through all things and beings. If you have never thought of life in this way before, then the actual realisation will have an instant, beneficial effect on you, because you have now been reminded of a powerful aid and ally, working with you, for you and in you, and it can be instantly called upon wherever you are for a multitude of needs, simply by thinking—yes, THINKING about it. It makes no special demands on the mind, whatever your level of concentration or knowledge. The universally shared life energy does not contain worries, fears, illness or anxieties, faults or failings. It cannot in any way carry negativeness. It is pure life. Pure, peaceful life, and the greatest gift of God to all creatures. You should constantly remind yourself that it can take the place of illness; illness, worry and tension that may be occupying your brain and body. Try to actually draw it into you with every breath you take, gently and calmly. Do not try to force it into you. Breathe naturally through the nose only. Force is strain, pressure and fatigue which will block the channels through which life flows. Just as nerve energy and the blood flow are blocked by strain and tension. Your body was designed to keep itself in a state of good repair. Every moment it is being minutely rebuilt and often replaced. Every cell is being carefully examined by other cells for damage, wear, or ageing, and if found wanting in useful power or performance, it is instantly removed and replaced by a young and vigorous new cell filled with life. Unless its power is being limited or restricted by your mind; yes, by YOUR mind! Through neglect, ignorance, starvation, over-indulgence, with possible consequent damage too great for the repair system to cope. You have deprived the cells of sufficient life and awareness to do their work efficiently. Your body and brain desires to stay alive, or more specifically, wishes to be filled with life. Just think what a truly wonderful creation you possess, which has been placed in your care, and you should take charge of it. When a certain number of cells in a particular area are damaged or weakened by disease, stress or accident, some of the nerve cells are damaged too, bringing to your conscious mind a warning; a warning in the form of pain or discomfort, telling you that something is amiss. Now what is pain if not to tell YOU that YOUR body needs YOUR help? Most of the time it can manage to control or repair itself without your conscious knowledge or assistance. But when it finds difficulty in coping it tells you through pain, and it is then up to YOU to come to its aid. Life is constantly flowing through you, that is in and out of you. The fact that you continuously take it in and let it out can be truly described as the rhythm of life, in the way you breathe in and out. It is true that the air you breathe does contain a good supply of the life-force too, and that is one of the reasons why we breathe deeper when we exert ourselves. But, in the case of the rhythm of life, every part of the body draws it in and lets it out, taking what it is able to absorb with every beat of the heart. The skin over the entire body is not only an oxygen breathing organ, but also takes in and lets out the life-force too. Try to bear in mind too that every breath you take, everything your five senses experience, are a part of the life essence which should strengthen you and keep you well. So replace illness with the life-force. You should also apply this attitude of mind to all nourishment too. Think if you can of the fresh food and drink as health and strength giving substances, and feel the good effect of the life in that food. If you do it will make you less tempted to overeat and drink. It will discourage over-indulgence in many ways—mental and physical. With the additional life flow you will be less reliant on habit-forming stimulants, pick-me-ups and so called 'quick relief pills'. The knowledge and suggestions we have presented to you can help to balance your body's resources and utilise all stimuli coming into you in the best way to suit YOUR health, YOUR wellbeing and YOUR thinking. It will keep all your body's defence systems alive and alert. "The physician's high and only mission is to restore the sick to health, to cure, as it is termed. "It is not his mission to construct so-called systems, by interweaving empty speculations and hypotheses concerning the internal essential nature of the vital processes and the mode in which diseases originate in the interior of the organism, (whereon so many physicians have hitherto ambitiously wasted their talents and their time); nor is it to attempt to give countless explanations regarding the phenomena in diseases and their proximate cause (which must ever remain concealed), wrapped in unintelligible words and an inflated abstract mode of expression, which should sound very learned in order to astonish the ignorant—whilst sick humanity sighs in vain for aid. Of such learned reveries (to which the name of theoretic medicine is given, and for which special professorships are instituted) we have had quite enough, and it is now high time that all who call themselves physicians should at length cease to deceive suffering mankind with mere talk, and begin now, instead, for once to act, that is, really to help and to cure." "The highest ideal of cure is rapid, gentle and permanent restoration of the health, or removal and annihilation of the disease in its whole extent, in the shortest, most reliable, and most harmless way, on easily comprehensible principles." 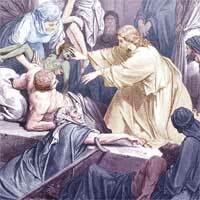 "With regard to healing the sick, I will devise and order for them the best diet, according to my judgment and means; and I will take care that they suffer no hurt or damage. Nor shall any man's entreaty prevail upon me to administer poison to anyone; neither will I counsel any man to do so (Chemotherapists take note!). Further, I will comport myself and use my knowledge in a godly manner." Yes—a 'GODLY' manner, for as God is the Author of All things, the closer we draw to Him in thought and deed, the greater will be our power to heal ourselves and others. © Copyright occult-mysteries.org. Article added 5 January 2016. Updated 23 April 2018. In this afterword to our article we shall briefly consider some of the better-known alternative therapies which you can use to help yourself to health. Homeopathy is dismissed by the vast majority of doctors as mere placebo therapy at best and dangerous quackery at worst. The arguments used in support of this view are legion and we will not waste our time or your patience in debunking them, for you can easily do so yourself by reference to the wealth of information to be found on and offline about the subject. However, we would like to mention one or two facts the opponents of homeopathy rarely mention and you may be quite unaware of. By 1900 there were 22 homeopathic medical schools, more than 100 homeopathic hospitals, and over 1,000 homeopathic pharmacies in the United States alone. Moreover, the Hahnemann Homeopathic Medical College in Philadelphia hosted one of the best equipped and largest hospitals of any kind in the world and approximately 25 percent of all medically qualified physicians in the USA were homeopaths. This is a remarkable record for any therapy, let alone one that is now dismissed as 'pseudoscience' and 'dangerous quackery.' But perhaps doctors and their patients, not to mention scientists, were more gullible and naive then? You decide! Homeopathy has been integrated into the healthcare systems of many European countries including France, Germany, the Netherlands, Italy, Switzerland and Portugal. A survey conducted in 2008 found that 15 percent of British people had used and trusted homeopathy. According to recent surveys 40 percent of the French public have used homeopathic medicines at some time, and 39 percent of French physicians have prescribed them. In India homeopathy is one of the most popular forms of medicine with over 200,000 registered practitioners, 215 homeopathic hospitals and 7,000 homeopathic dispensaries. So much for the facts. Homeopathy is a truly scientific system of medicine founded on several natural laws, such as the ancient wisdom of 'like cures like'. That is, a substance which can produce symptoms of illness in a healthy individual can cure similar symptoms in an ill person. It is a gentle and holistic proven therapy that has been practised throughout the world for the past 200 years. Homeopathy was founded by a German physician, Samuel Hahnemann at the end of the 18th century. He described the scientific basis and practical application of homeopathy in his Organon of the Art of Healing (Organon der rationellen Heilkunde), published in 1810. In homeopathy any recurrent symptom, such as chronic headaches, recurrent mouth ulcers, stomach ulcers, eczema, arthritis, depression and so on and so forth, are all considered to be expressions of an underlying cause; an imbalance which the body is not able to correct on its own. The sole goal of homeopathy, as you can read in the words of its founder in our article at left, is to stimulate the body's own healing power to effect a complete and permanent cure. Unlike modern orthodox medicine, homeopathic remedies are non-toxic and possess no side-effects. However, this does not mean that they cannot cause the aggravation of some symptoms during the healing process. But these are usually mild and of short duration and cause no damage whatsoever to the body. They are simply the body's sympathetic response to the remedy and a sure and certain sign that the remedy selected is the correct one and doing its work of helping the body to heal itself. Homeopathy is especially helpful with chronic conditions and in the cure of many childhood illnesses and ailments. Studies and extensive clinical experience show that a huge range of conditions including acne, ADHD, asthma, autism, depression, eczema, fibromyalgia, glue ear, hayfever, IBS, ME, migraine, osteoarthritis, psoriasis and rheumatoid arthritis have all benefited from homeopathic treatment. There is no doubt whatsoever in our minds that homeopathy works. We say this not only from our own personal experience, but also on the testimony of millions of patients, both human and animal (who cannot be accused of knowing anything about the 'placebo effect'), who have been cured of a wide variety of minor and major illnesses through homeopathic treatment. The first known reference to acupuncture can be found in the Classic of Internal Medicine of the Yellow Emperor, which dates back to the first century B.C., so we can say that this system of medicine is very old indeed. How it works forms no part of this afterword, though it must be clear to all occult students that the life-force in our bodies can be directed and augmented, whether by external stimulation of certain meridians through which it flows, or by the mind, or by any other means. Acupuncture is used to treat a very wide range of medical conditions such as migraine, insomnia, nervous tension, neuralgia, high or low blood pressure, poor circulation, muscle cramps, asthma, influenza and the common cold. It has also proved effective in certain psychological conditions such as depression, phobias, emotional disturbances, anxiety and nervousness. Even the NHS website now admits that "there is reasonably good evidence" that acupuncture is effective in treating a wide range of conditions, including back pain, dental pain, headache, nausea after operations and osteoarthritis of the knee. We have included these two therapies under one head, because although there are significant differences between them, they are founded on the same principles and employ similar methodology. The reasons for this similarity are due to the fact that the founder of chiropractic, Daniel David Palmer was a student of Dr Andrew Taylor Still (the founder of osteopathy). However, you should be aware of the subtle differences between the two techniques, which may make one more suitable for you than the other. Chiropractic treatment involves the manipulation and alignment of joints (usually the spine), whereas osteopathy works mainly with muscles, ligaments and tendons. Osteopathy is often regarded as the more holistic of the two therapies because it treats the patient as an integrated whole of body, mind and spirit, whereas chiropractic follows a more mechanistic approach largely directed toward the relief of musculoskeletal pain. However, there are 'holistic' chiropractors too, so this is not a firm distinction but a variable one. The manipulation of the spine as well as the musculature, tendons, etc., to relieve pain, reduce inflammation and promote healing, goes back many thousands of years to ancient Egypt and India. Back pain costs the UK one billion pounds every year in lost productivity and effects all age groups, with the over-50s being the worst affected, according to a recent report released by the UK Statistics Authority. This needless waste and the untold suffering of millions could easily be avoided through osteopathic or chiropractic treatment. Herbalism is probably one of the oldest systems of medicine, if not the oldest, in the world, and it is quite impossible to say when human beings first began to harness the healing properties of trees and plants. Herbs are mentioned several times in the Bible, notably in Genesis, where we may read: "And God said, Behold, I have given you every herb bearing seed, which is upon the face of all the earth, and every tree, in the which is the fruit of a tree yielding seed; to you it shall be for meat" (Genesis 1:29). The ancient Egyptians used herbs such as mint and rue as medicines over 5000 years ago. Indigenous healers worldwide, from Native American Indians to Australian Aborigines, have used herbal medicines for thousands of years. It is the worldwide practise of herbalism throughout history and the knowledge derived from it, that has led to the development of many modern drugs, of which aspirin is one of the most widely-used and well-known. Aspirin is derived from a chemical called salicin found in the bark of willow trees which the body converts into salicylic acid that has anti-inflammatory properties. Other plants and trees from which modern medicine has derived useful drugs include foxglove (digitalin), which is used to treat various heart conditions; cinchona (quinine), used to treat malaria; yew (taxol), used to treat cancer; and of course the opium poppy (codeine and morphine), which remain the most effective and powerful pain-killers in the medical pharmacopoeia. The healing flower therapy invented in 1930 by the English homeopath, Edward Bach, that still bears his name (despite many imitations and adulterations), can be considered to be a harmonious marriage between homeopathic science and medical herbalism. Some of the best modern herbal self-help books we know of are those written by the English herbalist Juliette de Bairacli Levy, widely available from Amazon and other booksellers. You can see a film of Juliette's life and work by clicking the appropriate link in our 'further reading' list below; it is well worth watching in full. Nicholas Culpeper's famous 17th century herbal is also well worth reading, not only for the wide range of medicinal plants it describes, but also for the wealth of astrological and alchemical lore it contains. Natural healing, sometimes called 'magnetic healing', is the oldest form of medical treatment known to man. It has been practised at all times in every part of the world and is still practised today under such names as 'spiritual healing', 'energy healing', 'Reiki' and 'laying on of hands.' It was used by Jesus, as we can read in the Bible, and by many other Masters, Holy Messengers and Adepts in the occult sciences from St Paul to Paracelsus. We call it 'natural healing', for that is just what it is, and there is nothing supernatural about it. As we have seen in our article at left, Life is the one thing that is shared by every living being on earth. Natural healing is nothing more nor less than the transmission of this universally shared life energy to the patient, generally via the hands of the healer. Natural healing requires certain gifts and a definite method of attunement to make a really successful healer. We regard human life as absolutely sacred, and in this respect no risks of any kind must ever be undertaken. When you are obviously ill it is essential to call upon the services of a doctor before consulting a healer, regardless of what branch of natural healing they may specialise in. This applies especially to modern derivations of natural healing such as Reiki, which can do much harm when employed by well-meaning but incompetent or sickly practitioners, of which there are many. There is another branch of natural healing known as 'Absent Healing', from which we have seen excellent results. The methods employed vary enormously, but the essential requirements are that the person you wish to heal should actively desire your help and cooperate with you, unless it is a case of severe illness and they are unable to do so. Prayer comes under a similar category too and undoubtedly works if the person praying does so with complete sincerity and faith in a successful outcome. Here again, we see the power of the mind and will in action. You can read more about the nature, purpose and power of prayer in John Temple's detailed investigation of this vital subject. Pharmageddon by Dr David Healy is a scathing and well-researched indictment of the pharmaceutical industry and the way in which it has undermined the health of millions. The Science of Homeopathy by George Vithoulkas is an excellent, extremely readable introduction to the principles and practice of homeopathy. Juliette of the Herbs is a short clip from a beautifully filmed inspirational portrait of the life and work of Juliette de Bairacli Levy, an English herbalist, author and pioneer of holistic veterinary medicine. The first chapter of this book describes the healing power of many trees and plants and how to use it to help yourself to health. An investigation of vegetarianism with regard to spirituality and physical health in the light of Occult Science. An investigation of the esoteric meaning and health-giving properties of water. Tips and suggestions on how to attain the mental and physical equilibrium which is surely the goal of all sincere occult students. 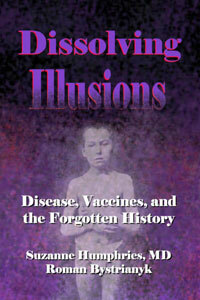 Earlier this year, David Pratt, whose excellent website we review on our links page, published a review of an important book about vaccination: Dissolving Illusions—Disease, vaccines, and the forgotten history by Suzanne Humphries MD and Roman Bystrianyk. We cannot do better than quote a short extract from David Pratt's review. "During their training, medical students are taught that vaccines are safe and effective, that this has been scientifically proved, and that vaccines were the main cause of the sharp decline in infectious diseases since the mid-1800s. Dissolving Illusions thoroughly debunks these claims." David Pratt goes on to say: "One of the authors, Suzanne Humphries, is a conventionally educated doctor who used to prescribe vaccines. Later she saw clear evidence of vaccine damage in her kidney patients and started cancelling vaccination orders for those who were seriously sick. She was met with irrational resistance by the hospital administration. She decided to research the medical literature on vaccination and was so shocked by what she discovered that she quit her job..."
The authors remark that: "Instead of an emphasis on hygiene, nutrition, and appropriate vitamin supplementation, immune system support, and natural remedies, the emphasis is always on costly antibiotics, vaccinations, and other medical procedures." We could not agree more, and say the same in our own article. We heartily recommend readers interested in the true facts about vaccination read David Pratt's review of this groundbreaking and timely book.